If you're a small family in need of space then our three-bedroom villas will be a big draw. The kids can have a room of their own and extra beds can often be added to sleep an extra child or two. 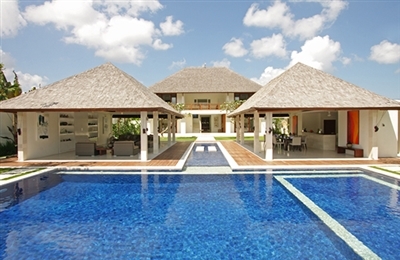 Small groups of friends and decadent couples will relish the intimacy of these villas yet delight in the extra space. 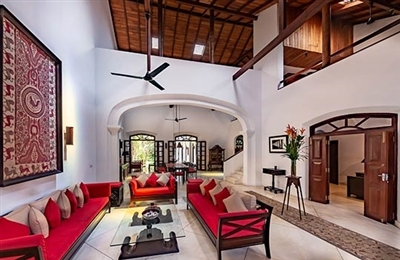 There are few homes in Galle Fort that feel as homely and as eclectic as this one. 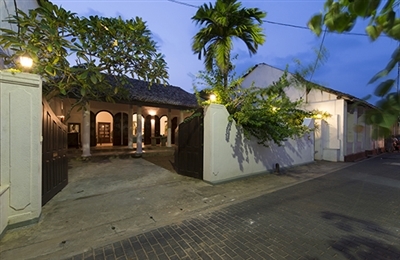 79 Leyn Baan Street is a long house, stretching between two streets, but the configuration makes it feel very intimate. 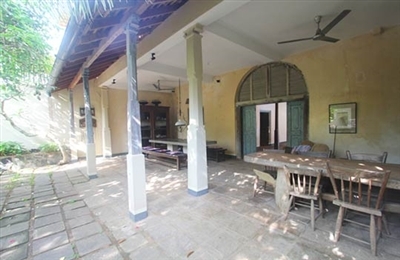 Rooms are filled with interesting books, including many coffee table tomes on Sri Lankan architecture and design, one of which features the house itself. Those looking for an informal home-from-home in the fort will love it here. It is obvious that this is a family house – there is a kid’s bunkroom on the ground floor and a cupboard brimming with board games and toys – however hazards like the courtyard pond and a steep master bedroom staircase mean that we wouldn’t recommend it for children under 10. 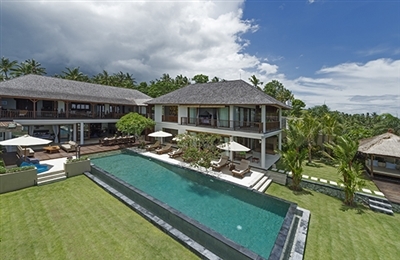 What 79 Leyn Baan Street suits best are decadent couples looking for a private, personal and unpretentious retreat in the fort. A trusted daily housekeeper cleans and helps in the kitchen, and the management company is on call should you need further assistance (they can also arrange for a chef to cook at the villa for a reasonable daily charge). But the fort’s plethora of cafes and restaurants are less than a 10-minute stroll away so there’s no shortage of options for lunch and dinner. Guests will also be kept company by Ruby, the house’s friendly dachshund. A second entrance at the rear of the house provides nippy access to the ramparts and the little beach beyond. 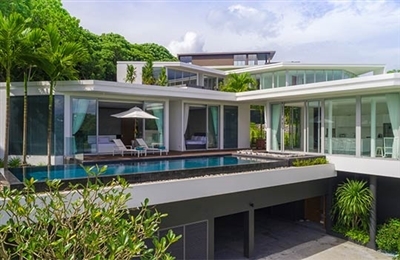 Abiente is a superb holiday villa for active, modern couples and groups of friends, with its chic styling and setting on Phuket’s east coast, on the doorstep of the region’s best sites for yachting, kayaking and other outdoor adventures. For those of us with less ambitious holiday plans, it’s also a fine place to do absolutely nothing but relax poolside and bask in the tropical sun! The open-plan layout invited us to gather, relax and flit between the cool white interior and the pool with ease. Each of the three bedrooms is similarly designed and furnished with king-sized beds and TVs, though only two enjoy a sea view and poolside setting – so there might have to be a coin-toss on arrival. We were among the first to visit this newly built villa (mid-2017) and loved its bright and welcoming ambiance with a no-fuss minimalist edge and a few touches of whimsy here and there including a big mural splashed across the entry hall. 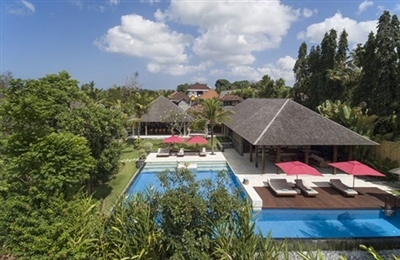 Abiente is among the newer villas in Baan Yamu, a decade-old estate with exceptional guest facilities available including a well-equipped gym, which we didn’t try out (lazy! 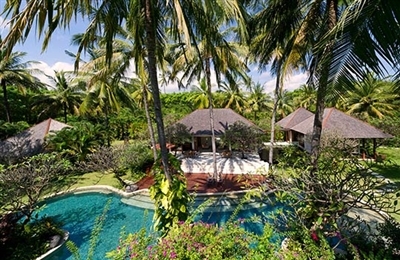 ), and the huge 75-metre pool, a good option for serious swimmers. Ambassador’s House is certainly spacious. When we first explored inside, it just seemed to keep on going back and back. We really liked the roof terrace too – the perfect place for soaking up the sun. The upstairs bedrooms have recently undergone renovations and now work well as a family suite, and the master bedroom ensuite is very special with its tub, twin washbasins and twin showers – true ‘his-and-hers’ luxury! Be aware though that the bed in the master bedroom is slightly shorter than your average queen-size bed. We liked that the main living areas were wired for sound as this really enhanced the mood (bring your own music or iPod), and the large screen in the TV room made it feel like a cosy mini cinema. The villa is particularly well set up for kids – each staircase is fitted with a safety gate, and there are loads of toys and games. The staff love kids and we found them all to be warm and welcoming. The chef will ably cater for all your dining requirements (groceries on guest account) and the management team, who drop by daily, are very helpful and friendly and will happily arrange onward travel, excursions or activities.